Like so many other women today, worry probably feels second nature to you—often like a reflex than a choice. On any given day you fret about growing debts and thinly stretched paychecks, strained relationships and social snubs. . .health scares, parenting challenges, waistlines, wrinkles, workloads. 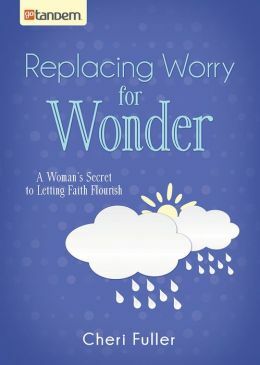 Replacing Worry for Wonder shows you how to break the cycle of unnecessary suffering, release anxiety, give up the illusion that we’re in control, and find peace in an intimate, growing relationship with Jesus Christ. This book has something for every worrywart—from the chronically stressed to the occasional ruminator.